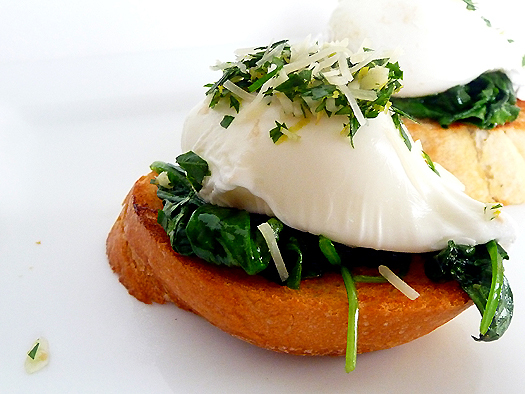 The foundation of any poached eggs recipe is, of course, the poached egg. If that’s not prepared properly, any poached egg recipe built upon it figuratively tilts askew. The following is a brief, generic list of items needed to poach an egg for all poached egg recipes. Forgive the obviousness of some of these; not everyone has a lot of experience cooking. Eggs: Allowing one to two eggs per serving, ensure enough eggs are on hand to serve everyone who wants them. Shell color is irrelevant; choose the type that’s preferred. Water: Have enough heated that the poacher does not rest on the bottom of the pan. If microwaving the eggs, just a drop or two in each egg well will suffice or use a dab of butter or margarine for a richer flavor. Controllable Heat Source: Either a stove or a microwave works. 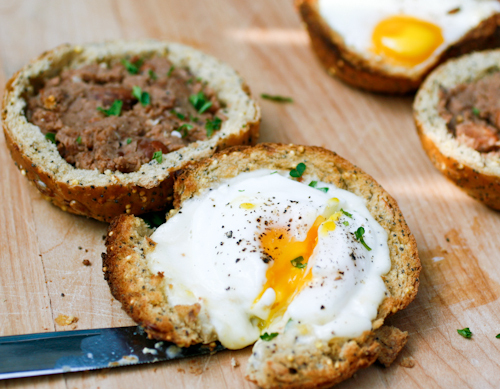 Poached eggs aren’t baked or broiled, so an oven isn’t necessary. Egg Poacher: Whether the cook uses a single egg poacher or a multiple poacher tray matters not. The important aspects are containing the egg and suspending it in the water. Certainly an egg can be poached without a poacher well, but the egg develops egg-white strings, and the egg may not cook evenly. 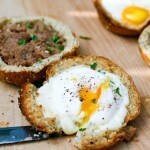 Use an egg poacher cup or tray to resolve both those issues before they happen. 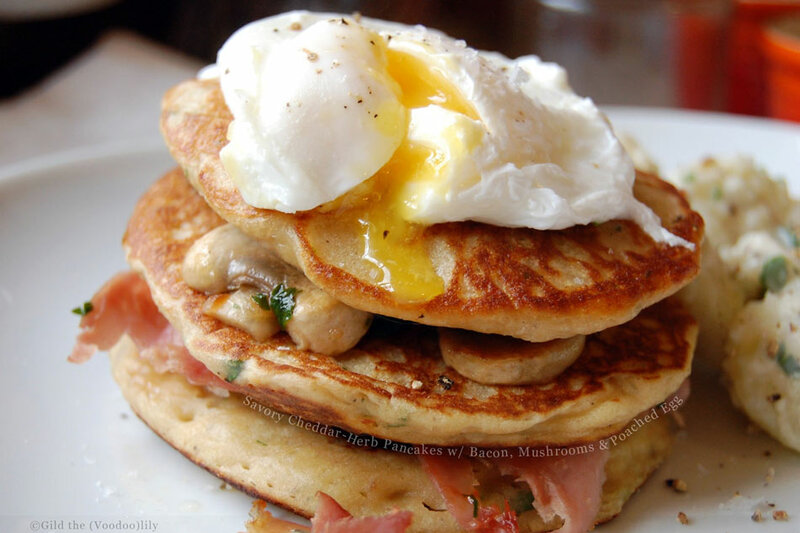 Plate: A plate holds the poached eggs once they’re removed from the egg poacher cups or wells and allows additional food items to be added to the poached eggs without difficulty. Additional Food Items: If plain poached eggs aren’t on the menu, assemble all additional items prior to starting the poaching process. 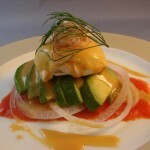 Eggs cool quickly, and serving the fully assembled poached egg dish quickly while the eggs are hot adds layers of texture and flavor to the dish. 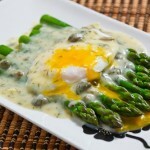 Eggs can be poached on the stove top or microwave. Each method is outlined below. Stove Top: Once everything is assembled and ready, start heating the water. Add enough water to float the poacher cups or submerse the tray wells about half-way. Do not add the eggs to boiling water. The temperature should range from 160 to 180 degrees Fahrenheit. If no thermometer is available, bring the water to a boil then reduce the heat until the water is just simmering—little bubbles rise from the bottom of the pan with a heavy steam vapor. If the egg poacher does not have non-stick surfaces, spray the cups with a non-stick product or very lightly coat the poacher cups with oil, butter, or margarine. Carefully break one egg into each poaching cup, taking care to not break the yolk. Lower the egg poacher into the water and let the eggs poach. 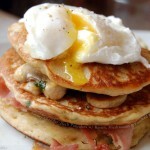 Let the eggs cook until the egg whites are bright and solid; the yolk should be runny, much like fried, over-easy eggs. Cooking time is usually only two to three minutes, depending on the water’s actual temperature. When the egg whites are completely cooked, and the egg yolks are bright yellow and still liquid, carefully remove the cups or tray from the water and ease the poached egg onto the plate. Quickly add the additional ingredients, garnishes, and extra touches, and serve. Microwave: A simpler, faster process, microwaving poached eggs take only moments. First, ensure the poacher cups are non-stick, whether by manufacture or manual conditioning, above. Carefully crack the eggs into each poacher well or cup, preserving the integrity of the yolk. Cover the microwave tray with the accompanying lid or a small plate if no cover was provided. Ensure the poached egg tray is centered for even cooking. Most microwaves can poach an egg within 120 seconds. Start at 90 seconds and check the status of the egg. If more time is needed, continue to cook by programming small increments—generally ten to twenty seconds at a time—until the poached egg is properly cooked. Note: Because cooking times depend on several variables, such as elevation and microwave power, do not blindly follow cookbook recommendations on cooking times for poached egg creations. Experiment for yourself as outlined here to familiarize yourself with your machine and your geographic location. 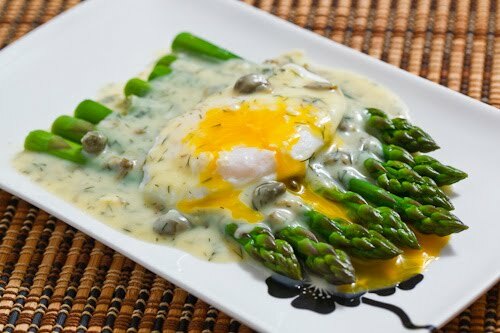 After the first time or two using the same machine in the same general area should suffice to get a solid idea of the proper cooking time for exquisite poached eggs using a microwave oven. 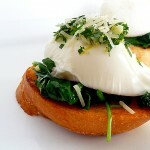 Grated Parmesan Cheese: Lightly moisten the inside of the poached egg well prior to adding the egg. Lightly sprinkle the Parmesan into the egg cup, coating all sides. Then add the egg. After poaching, add another light sprinkling on top. 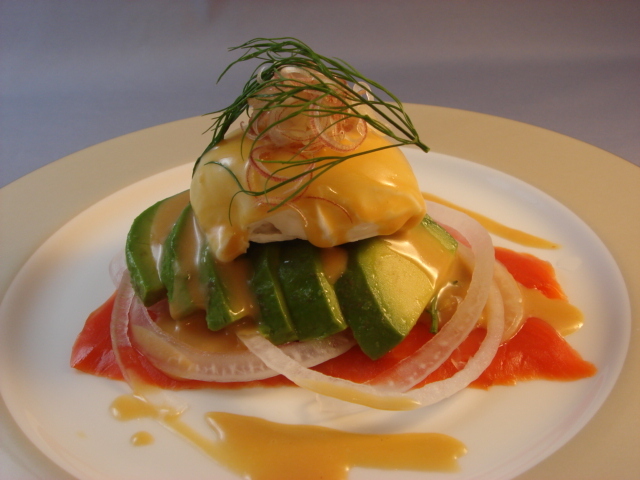 Hollandaise Sauce: Probably the most famous poached egg dish ingredient, Hollandaise sauce is used in Eggs Benedict—toast an English muffin, placed grilled ham on the bread; add one poached egg, pour Hollandaise sauce, and serve. Fruit: Whether as garnishment or a side dish, fresh fruit or chilled and drained canned fruit add flavor, color, and taste and are a healthy addition to any poached eggs recipe. Use your imagination. Cater to your particular tastes and preferences. People who love leeks use those; people who don’t love them, don’t use them. 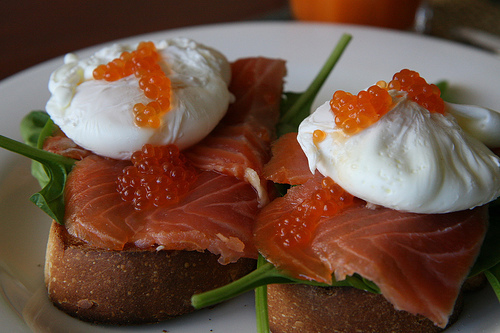 There is no “right or wrong” poached egg dish—only ones that do or do not satisfy taste buds. 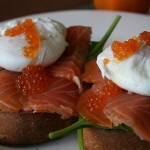 This entry was posted on Saturday, May 14th, 2011 at 5:16 pm	and is filed under Egg Poacher. You can follow any responses to this entry through the RSS 2.0 feed. Both comments and pings are currently closed.